If you’re a home owner in the Minneapolis or St. Paul area and your tastes veer toward the up-to-the-minute looks, high-tech landscape design maybe, the way to liven up your landscape and garden. This post from OutdoorTheme.com can steer you in some breathtakingly new and exciting directions. Additionally, perennials and flowers are highly recommended, particularly variegated and yellow heathers. 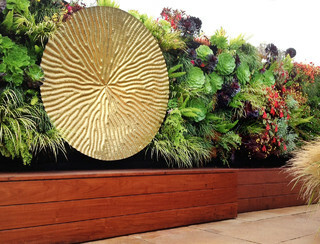 High-tech gardens are also typically conducive to the use of vertical gardening, and as such,they are well-suited to traditional plants, pumpkins and tall tomatoes. Here at Architectural Landscape Design, our aim is to work with our clients to bring their landscape dreams and visions to life. That includes adapting our designs to reflect personal tastes as well as working with the style of the home itself. If your lifestyle is high-tech, perhaps it’s time to bring your landscape plan into that realm. We can help! High-tech garden design is just one of the many options available to you. We are a Minneapolis MN area landscaping contractor, and we specialize in custom landscape plans. For a free consultation, give us a call at 952.292.7717.